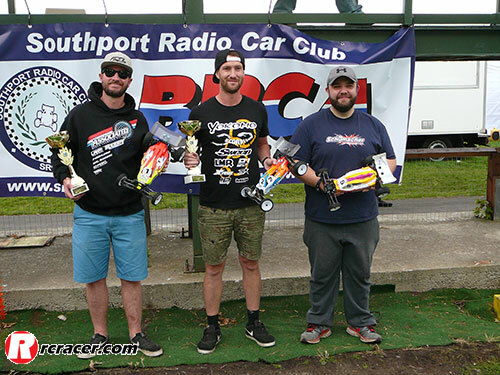 The fifth round of the BRCA Off-Road National series took us back to Southport after a year away, and in that time the club have put a lot of effort in to re-vamp the venue. They have now placed Astroturf on the tarmac and concrete areas and created some new features that have resulted in a very well received track. With Neil Cragg on a perfect score for the year so far, it was open season to see if anyone could break that run. 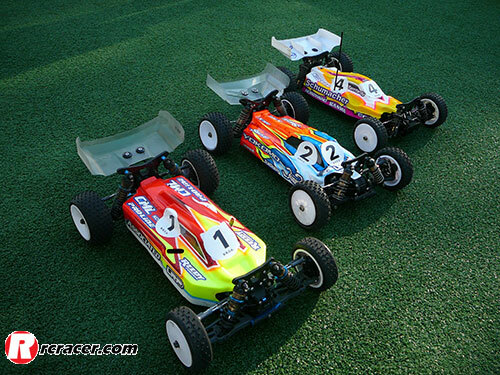 Well, in qualifying they couldn’t as Neil (Team Associated) took three of the four rounds and lined up in pole position ahead of Lee Martin (Yokomo) and Ellis Stafford (TLR). 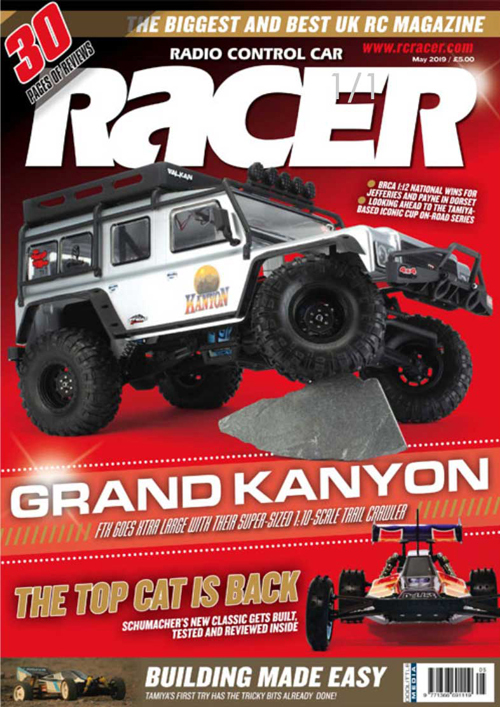 The finals saw some of the best racing we’ve had for a long time. All three legs saw some controversy and a lot of great racing as Neil won the first leg and Lee the second. But due to both of those having bad results in the leg they didn’t win, going into the final leg there were still six drivers that could take the overall meeting victory. It went right down to the last lap and despite that lap being phenomenal from Neil it was Lee who took the win ahead of Neil and Tom. With Saturday having being mostly dry after a wet start, Sunday started in exactly the same way and again it was to dry up. 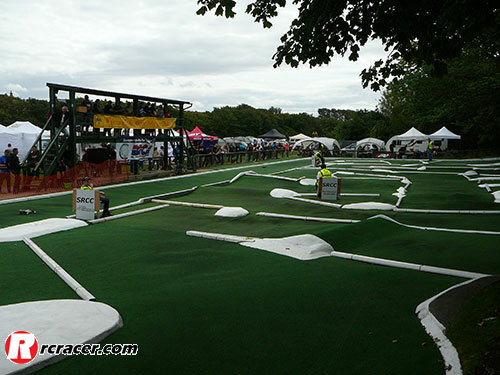 There was some light rainfall during the finals, but not enough to really dampen the track. 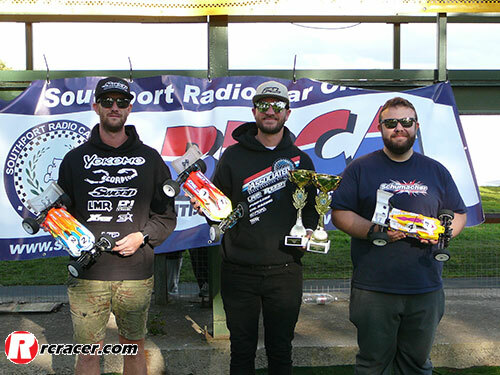 Qualifying was all about the Team Associated of Neil Cragg as he took all four rounds with current championship leader Lee Martin (Yokomo) in second. Lee was looking to sew up the title this weekend, but would need to be beat Neil to do it. Once again the finals didn’t disappoint. After looking comfortable all race Neil ran wide on the last corner and Lee dived through to take an opportunistic first leg win, but then Neil held his nerve under intense pressure in the second leg to set up a decider. The race was effectively over on the first lap in leg three as Lee crashed on the first jump leaving Neil to serenely motor on to the win. Lee still held on for second with Tom in third. 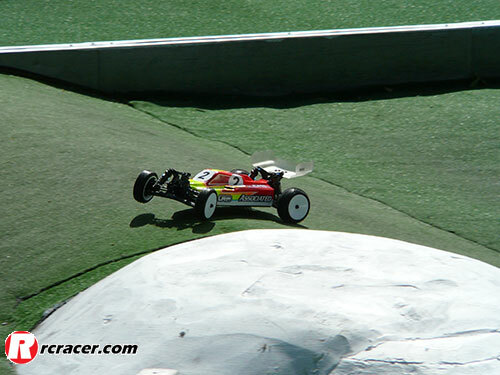 Neil is already 2WD champion elect, but this sets up a championship decider in the 4WD class at Stotfold in a month.